Electronic Logbook Mandate Update : The most recent rules regarding ELDs have built upon the previous rule making. The Moving Ahead for Progress in the 21st Century (MAP-21) bill was enacted in 2012 and included a provision requiring the Federal Motor Carrier Safety Administration to develop rules for the use of ELDs. Because there are currently so many options for tracking available on the market right now, it’s easy to get confused. Today, many fleets are using automatic onboard recording devices to reduce paperwork. These devices automatically record a driver’s changes in status and the amount of time they operate the vehicle. 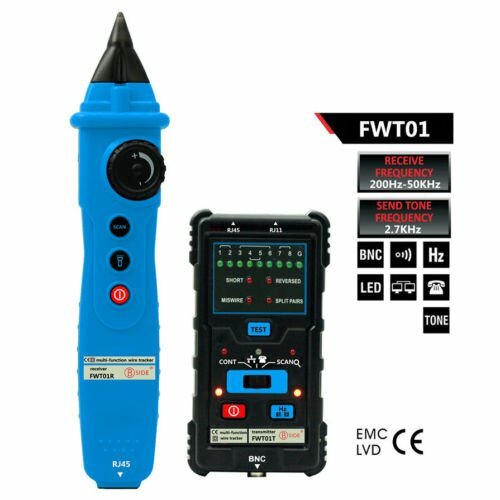 The ELD mandate is also based on a regulation for electronic onboard recording devices. However, that was published for fleets that had severe hours of service compliance issues, but not all trucks were subject to these tracking requirements, so the regulation was eventually pulled back. The deadline for compliance is quickly approaching. Fleets have until December 2017 to implement certified ELDs, and those already equipped with ELDs will have until December 2019 to ensure compliance with the new standards. Drivers can also present data immediately to law enforcement if requested. WHAT IS THE ELECTRONIC LOGBOOK MANDATE? This mandate is a new requirement and new technology, which sometimes makes drivers hesitant. It’s not what they’re used to, and new rules bring about change that makes people feel uncomfortable. But the ELD mandate is meant to improve the lives of drivers, and there are many ways in which it does this. ELDs save time logging hours, which means less time filling out a paper logbook and more hours on the road. Increased drive time leads to more money in a driver’s pocket. In fact, the FMCSA estimates that twenty hours a year are spent logging hours on paper. While paper logbooks require drivers to round up to the nearest fifteen minutes for stops, ELDs round to the nearest minute, adding five to ten hours a week of drive time to their paychecks. ELDs provide clear and concise records for an officer to see, leading to expedited inspections. Coupled with less paperwork, ELDs get drivers back on the road faster, which is where they would prefer to be. ELDs reduce CSA scores and fines because they more accurately record drive times and locations. Everyone makes mistakes, and paper is the perfect place to highlight that. Incorrect records add up, and those mistakes cost drivers a lot of money. With ELDs, fewer corrections need to be made later, which is less information that a driver has to remember. Drivers remain more HOS compliant with time-sensitive warnings alert them to a required thirty-minute break or running out of driving hours. ELDs are programmed to remind a driver while there’s still time to pull over somewhere safe. Also, because ELDs record all of this performance, drivers have more responsible data to add to their resume, making them a more marketable candidate at their next job interview. With data to back it up, they can demand higher pay or increased incentive payouts. ELDs can help document driver safety in the event of an accident as well. They capture driver behavior immediately preceding the incident so that they have a simple way to reconstruct accidents and defend lawsuits, reducing their liability. This can also provide better roadside assistance because the exact location of the driver and condition of the vehicle is known. There are many ways that the ELD mandate can help you improve efficiencies with your fleet. They improve safety, reduce costs, connect you with your drivers, and help you keep a competitive edge. ELDs help to improve safety because they enforce hours of service regulations. This keeps tired drivers off the road, increasing safety, and saving you a lot of money. With ELDs you can make sure drivers are taking the defined path, following safety guidelines the entire way. This reduces the risk of accidents. Monitoring driver behavior and alerting them to dangerous driving events in real time can help to reduce the risks associated with braking hard, over-acceleration, or hard cornering. Managers who have a better handle on driver behavior data can coach drivers into safe driving habits and increase the overall safety of the entire fleet, reducing the liability of the company. In addition to keeping drivers safe, you can use this data to reduce vehicle maintenance costs. If your ELDs are equipped with real-time fault code alerts and diagnostic reports, you can minimize breakdowns by initiating automatic checkups. This helps ensure more on-time delivery, resulting in increased customer satisfaction. Fuel is often wasted taking longer routes or vehicle idling. ELDs can help reduce fuel consumption by tracking idle time and excess mileage. Becoming ELD compliant also helps add value to your fleet by offering your customers a better value. This, in turn, beats your competitors, because while the implementation of ELDs takes time and money, in the long run, you will be more efficient. 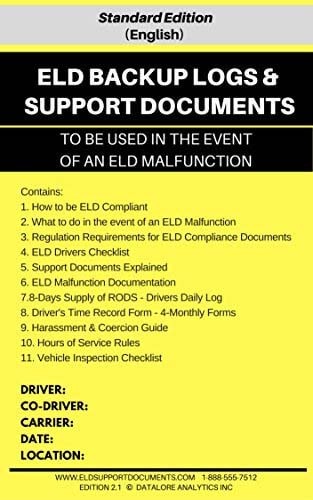 There are a few exceptions to the ELD mandate and who is required to comply. Drivers and carriers can’t choose to comply, but they can choose when to start. The sooner they can implement safer and more efficient practices, the sooner they’ll start saving money, and the easier it will be down the road.